With the help of my “Style Circle”, we’ve put together a little collection of cake toppers with a ride range of styles. If you are thinking about doing a topper, I’m sure one of these may just suit your fancy. It’s hard to choose a favorite, but I’ve always had a soft spot for the 40’s style vintage bride and grooms. Seems like the kind of adornment my grandmother may have had on her wedding cake! The left is from The Small Object, and the right is from The Vintage Bride. On the left, quilled flowers as cake topper. Check it out here via So Happi Together. In the center, a “Love Nest” from Pom and Plumage. Last up, a DIY teacup topper via Ruffled. Last, might we call these, vintage inspired, perhaps? On the left, a cake flag banner from Baumbirdy. (LOVE IT!) On the right, “Love Birds” from Cotton Bird Designs. I love the bird cake toppers. They are gorgeous! 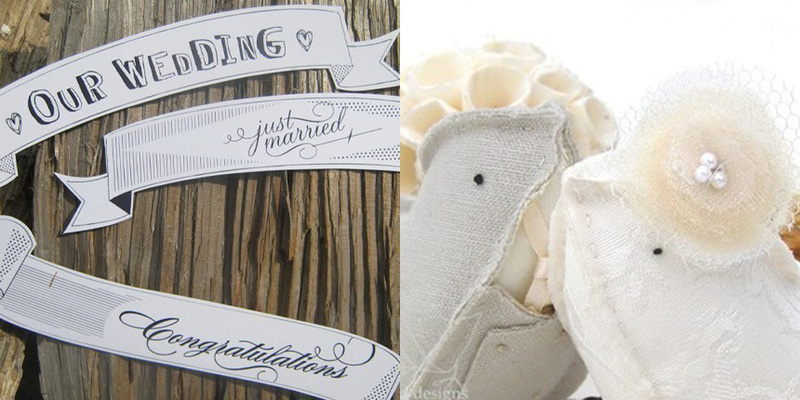 Brides could even make their own “love birds” with felt, fabric, or even finding fake birds from a local craft store! The nest with eggs is also a beautiful idea, couples would want to hang on to these toppers forever! 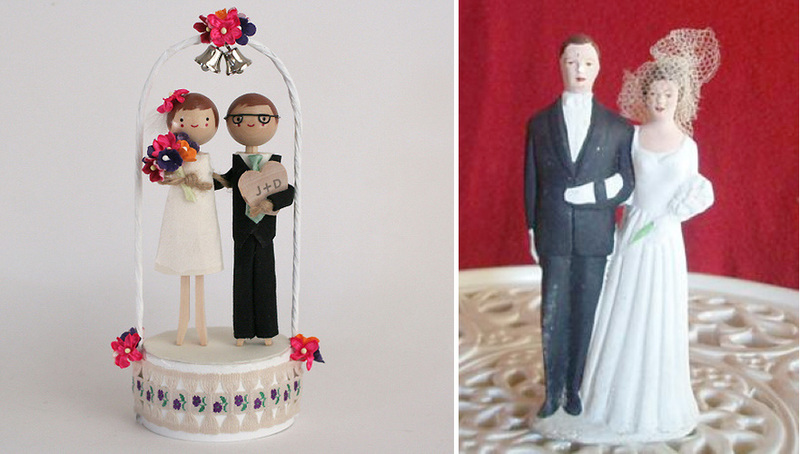 Have you seen these pretty cake toppers? TO DIE FOR!